Our Gospel lesson this morning is one of the more difficult of Jesus’ parables. In order to understand it properly, we have to tease out every little clue, while also making sure that we don’t interpret it in a way contrary to clear teachings of Scripture. One of the basic rules of the interpretation of Scripture is that you always use clear passages of Scripture to interpret and understand unclear ones. What is an unclear passage of Scripture? Unclear passages of Scripture include parables, visions, and prophecies, as well as a few other types. Prophecies are unclear, because unless the Scriptures explain when and where such prophecies are fulfilled, you are left “hanging” wondering who or what it refers to. Visions are unclear, because they use picture language instead of verbal language. Parables are unclear, because the story they tell is fictional, and most of the details of the story are usually not part of the doctrine being taught. In our Gospel lesson, much of the details of the story about the dishonest manager are not doctrines that Jesus intends to teach his disciples. If you are an employee, Jesus is not teaching that you should waste your employer’s possessions. If you are a loan officer, Jesus is not saying that you should forgive debts on your own authority. If you are an executive, Jesus is not teaching you to commend your dishonest managers. The only thing that Jesus is approving here is the “shrewdness” of the dishonest manager, i.e., what we might call “street smarts.” He is also teaching you something about the proper use of money and possessions. 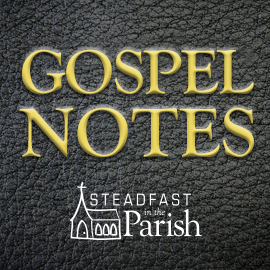 What can we tease out of the context of our Gospel? This parable is the fourth in a series of a parables that runs through chapters 15 and 16. The setting is described in Luke 15:1-2, which states: “Now the tax collectors and sinners were all gathered around to hear him. But the Pharisees and the teachers of the law muttered, ‘This man welcomes sinners and eats with them.’” Jesus then told three similar parables: the lost sheep, the lost coin, and the lost son–also known as the “Prodigal Son.” Then Jesus told a fourth parable, the story of the dishonest manager in our Gospel. Whoever can be trusted with very little can also be trusted with much, and whoever is dishonest with very little will also be dishonest with much. So if you have not been trustworthy in handling worldly wealth, who will trust you with true riches? And if you have not been trustworthy with someone else’s property, who will give you property of your own? No servant can serve two masters. Either he will hate the one and love the other, or he will be devoted to the one and despise the other. You cannot serve both God and Mammon.” The Pharisees, who loved money, heard all this and were sneering at Jesus. He said to them, “You are the ones who justify yourselves in the eyes of men, but God knows your hearts. What is highly valued among men is detestable in God’s sight. (Luke 16:10-15). “Mammon” is a Hebrew word meaning money, possessions, and property. The context of our parable tells us that this story was told primarily as a rebuke of the Pharisees. 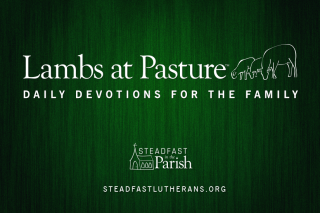 They criticized Jesus for socializing with so-called “sinners.” Jesus’ replied with the parables of the lost sheep, lost coin, and lost son to show that he was about his Father’s business in seeking and saving the lost. The parable of the dishonest manager, and the teachings that follow in verses 10-15, point out the chief sin of the Pharisees, which was greed. Just like Charles Dicken’s Christmas Carol revealed the greedy heart of penny-pinching Scrooge, so Jesus’ parable of the dishonest manager revealed the greedy heart of the Pharisees. How did this parable rebuke the Pharisees for their greed? The dishonest manager used money that was not his own to make friends, so that when he was terminated, people would welcome him into their homes. In a similar manner, Jesus taught that the money and property that the Pharisees used during their lifetime was not their own, but really belonged to God. Since the Pharisees believed in the resurrection from the dead, they should have been using the money and property they received from God to assist the poor and needy, so that in the resurrection they would have friends in heaven. But instead of sharing with those in need, the Pharisees were miserly skinflints, like Scrooge. In this way, Jesus showed that the Pharisees were worse sinners than the tax collectors and the people they deemed to be “sinners” in that society. Many a person thinks he has God and everything he need when he has money and property; in them he trusts and of them he boasts so stubbornly and securely that he cares for no one. Surely such a man also has a god–mammon by name, that is, money and possessions–on which he fixes his whole heart. It is the most common idol on earth. He who has money and property feels secure, happy, fearless, as if he were sitting in the midst of paradise. On the other hand, he who has nothing doubts and despairs as if he never heard of God. Very few there are who are cheerful, who do not fret and complain, if they do not have mammon. This desire for wealth clings and cleaves to our nature all the way to the grave. (Tappert, 365-366). 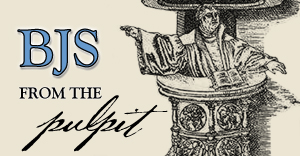 The intent of today’s Gospel is that we ought not be greedy, but make proper use of wealth, and make friends for ourselves with the wealth God has bestowed, so that, when we die and are in want, that is, when we have to leave everything behind, we may find friends there who will take us into eternal habitations. For whatever good we do here for needy people, showing them friendship and kindness, these very deeds will on Judgment Day not merely bear witness to the fact that we have conducted ourselves in a brotherly and Christian fashion, but will also have their reward. There, one will come forward with praise, saying, “Lord, he gave me a coat, a gold coin, a piece of bread, a drink of water in my need; I bear witness that he gave solid evidence of his faith.” Yes, on Judgment Day, Christ himself will come forward and before his heavenly Father, all the angels, and saints, speak highly of what we have done to one of the least of his brethren, that is, as he explains it, as having done good unto him personally. . . . [But let us be clear], our wealth will not help us get to heaven. But when we make righteous Mammon out of unrighteous Mammon, that is, when we make proper instead of improper use of Mammon, . . . we thus give evidence of our faith and testify that we are upright Christians and heirs of eternal life. (Martin Luther, Sermons of Martin Luther, ed. Eugene Klug [Grand Rapids: Baker, 1996], 2:360-361). Therefore, as God has been merciful to you, and given you many blessings for body and soul, you too may be merciful to those in need, and so testify that you are an heir of eternal life. In Jesus’ name. Amen.